James Viles of Biota Dining. Inside a private dining room at The James Boag Marquee at AAMI Victorian Derby Day. We could not of had a better day to kick off the Spring Racing Carnival at Flemington Racecourse on Derby Day, with clear skies and warm temperatures making it a perfect day to be track side. Inside the exclusive birdcage arena lay the James Boag Marquee, and nestled inside there was an intimate private dining room seated for 12 headed by Chef and Director James Viles of two hatted Biota Dining & Rooms in NSW Bowral. Guest were dressed in their finest black and white attire enjoyed a culinary experience which focused on the concept of foraging, It reminded me intimately of my experience early this year at Noma popup in Sydney (read my review here). upon speaking with Chef Viles, I learned he was a good friend of René Redzepi and his passion for cooking is inspired by the most renowned modern Danish chef. 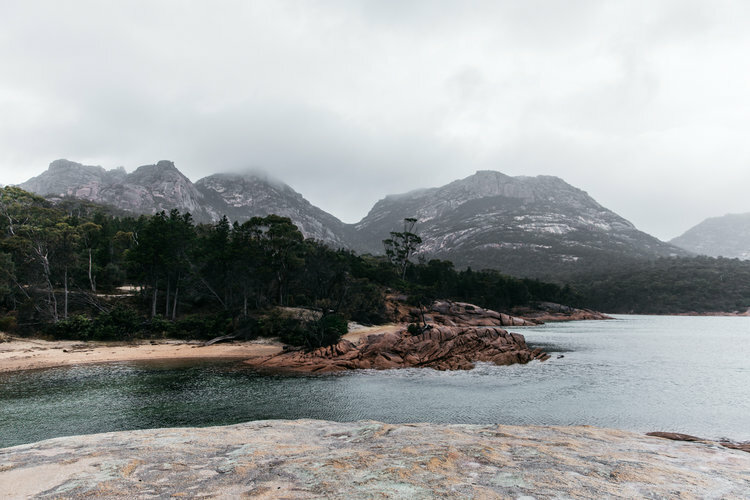 A visual documentary of the Harnessed experience in Tasmania with James Viles by photographers Lean and Meadow is available to view here (worth a read over a glass of coffee or James Boag Premium Beer). 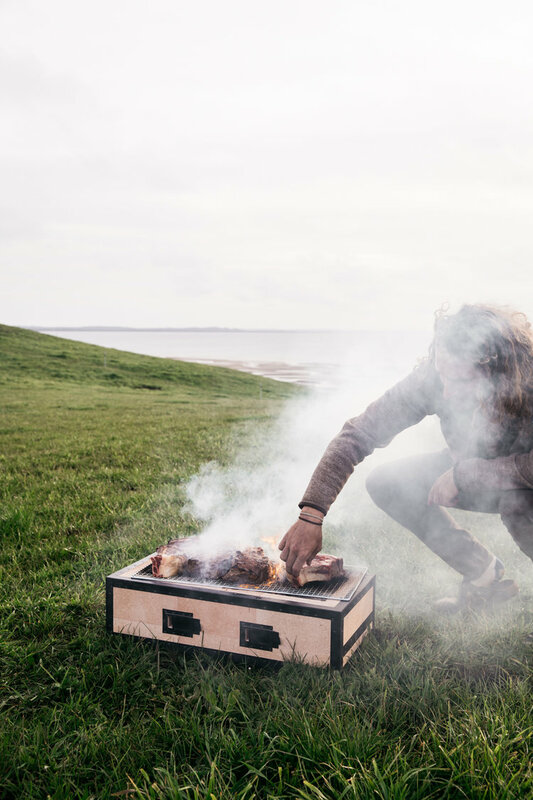 Viles along with his Canadian right hand chef Riley Aitken created a menu inspired by the Tasmanian elements, the ferocious winds, wildest waters, harshest landscapes and the passionate farmers. Seated on solid tassy oak tree trunks inside the private dining room, we were immediately transported to the wilderness of Tasmania's picturesque rain forests surrounded by the rugged elements of the landscape, it was a truly magically setting to complement an exquisite menu. The nine course tasting prepared by Viles included raw Ikijume spiked kingfish accompanied with smoked fish bones and john dory roe, premium Tasmanian Cape Grim Wagyu beef with fresh Shima wasabi and clay-baked beetroot, sashimi-grade Southern calamari sourced off the coast of Tasmania’s North West and my favourite dish of the most delicate leeks I have tasted cooked in brown butter and fried saltbush. As each dish was meticulously plated in front of us, Viles talked us though each ingredient and shared stories of the farms and producers, It was beautiful to have these thoughts and impressions lingering in our minds as we took each mouthful. 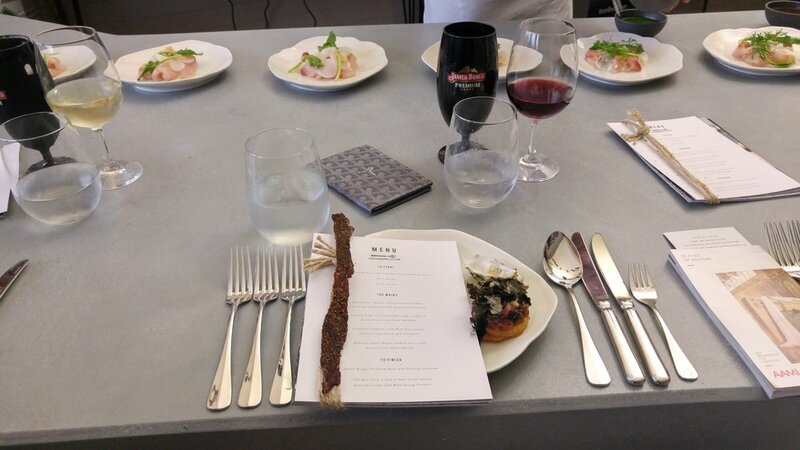 Complimentary to the ideology of foraging, diners were invited to hand pick dried wakame/seaweed hung above our seats to season our own dishes to our individual desired level of umami. The meal was finished off with a James Boag Premium Beer and parsnip icecream, dry iced meringue and 'The Bee Hive' dish of raw local honey, almond creme and wild spring flowers. Bottoms up to James Boag and Chefs James Viles and Riley Aitken for curating an unforgettable gastronomic experience for race, fashion, food and beer explorers. Mr Gumbatron has partnered with James Boag to offer the chance for you to win an opportunity to let Chef James Viles bring them the taste of Tasmania through a curated menu inspired by the Harnessed Culinary experience at Melbourne Cup Carnival. click on the below link to register for their chance to win this Biota dining experience. The prize consists of 1 x $800 voucher – enough for a tasting menu inc wine and 1 nights stay at James’ restaraunt Biota.